Wilberforce University has appointed John Miller, president and chief executive officer for Denny’s Corporation, as the first innovator-in-residence at the Mark and Shelly Wilson Center for Entrepreneurship and Innovation. In addition to his new role, Miller is also the vice-chairman for the Wilberforce University Board of Trustees. Miller has over three decades of experience working in restaurant operations. 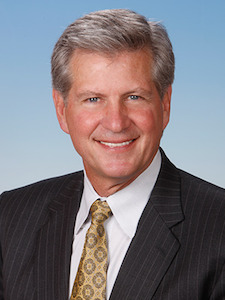 Prior to his role at Denny’s, Miller was CEO of Taco Bueno Restaurants, Inc. and worked at Brinker International for 17 years serving in several management positions. In addition to his managerial and business experience, Miller spearheaded “The Den” – a millennial focused spin-off of Denny’s located mainly in college and university towns or cities, according to a Wilberforce release. As innovator-in-residence, Miller will engage with students, faculty and the Wilberforce community as they establish ideas for change and transformation through group sessions with upcoming innovators, mentorship and a campus engagement program.